Syrian Army Uses BRDM-2 Reconnaissance Armored Vehicles (Photo) 5 out of 5 based on 5 ratings. 5 user reviews. Photo, showing Russian-made BRDM-2 armored vehicles, using by Syrian troops in the fight against terrorists, have been published online. Photos of an upgraded variant of the Russian-made BRDM-2 armored vehicles, fighting against terrorists of the Islamic State (IS) group in Syria, have been published online. Armored vehicles, based on the BRDM-2, were operated by the Syrian Army long ago. They took part in the peacekeeping mission in Lebanon in 1973 and in the reflection of the Israeli attack in 1982. By the time of the current armed conflict in Syria, the majority of these vehicles have already been removed from active service. Only a small part of the BRDM-2s remained in police. The camouflage coloring of police’s armored vehicles is different from the color of army’s BRDMs. However, now the Russian reconnaissance armored vehicles are once again spotted on the territory of the hostilities. 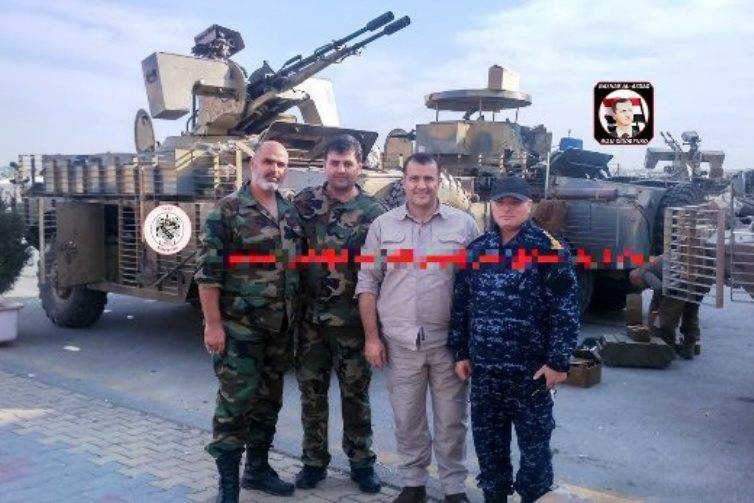 Apparently, it is connected with the fact that the Syrian Army has suffered substantial losses in military hardware. Upgrading of the armored vehicles was conducted last year. The vehicles were equipped with slat armors, open tower installations with the NSVT machine guns and the AGS-17 automatic grenade launchers. According to some reports, a gasoline engine was replaced by a diesel motor. Another version of the upgraded vehicle is armed with the ZU-23-2 remote-controlled automatic cannon. According to some reports, now there is the third wave of modernization of the BRDM-2 in Syria. 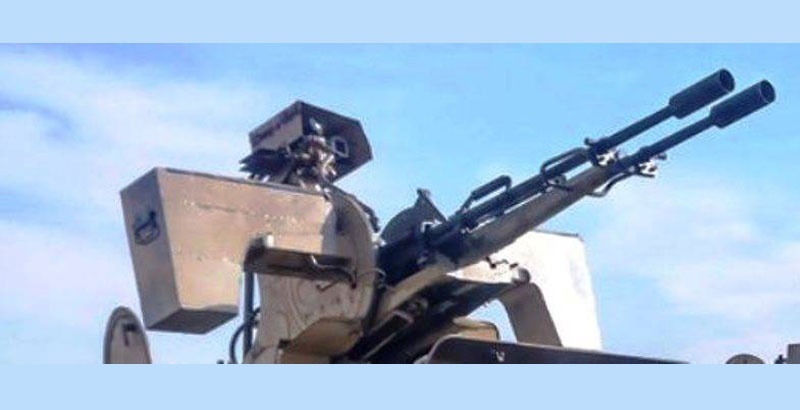 Reportedly, a closed tower with the NSVT machine gun, in which a gunner will be protected from enemy bullets, will be mounted on the armored vehicle. The armored reconnaissance scout vehicle of the second version (BRDM-2) has been produced from 1963 to 1989 at the Arzamas machine-building plant. In addition, the vehicle has been manufactured under a licence in Poland and Yugoslavia. The main feature of the BRDM-2 is its very good cross-country ability. In addition to the basic four-wheel drive chassis with controlled pressure in tires, there are additional retractable wheels in the middle of the hull that allow to overcome deep ditches and trenches. This is very inteligent way to use old soviet hadware stored for decades, upgrading vital systems and giving them modular armor makes for quite capable vehicle costing a small fraction of new hardware, it can kill al the same. The good thing about Russian military vehicles is that they are mechanically super reliable. They are tailor made for field expedient repairs and patching. The design principle used is “cheap,simple , easy to run and maintain and upgradeable”. Crew comfort can be built in later , but foremost they are fighting vehicles.